Pool season has officially ended. And while we’re a little sad about it, you can still make use of the rooftop at Insignia on M even though the weather is cooling down. The Insignia on M rooftop was designed to serve you all year round. Here are three ways you can continue to use the rooftop in the fall and winter months. Take your pup through the rooftop dog walk area where you can enjoy the view while he plays on the green space. Additionally, Insignia on M offers a wash station and pet spa so that your pet truly feels pampered. Grill out with friends throughout the fall season. Then, take your meal to one of the lounge areas at Insignia on M. Or, head inside to enjoy your barbecue with a Sunday night football game. Enjoy a cozy evening on the rooftop by throwing a bonfire using Insignia on M’s gorgeous fire feature. Put on your favorite sweatshirt for extra coziness. Roast marshmallows and take in the Navy Yard views. 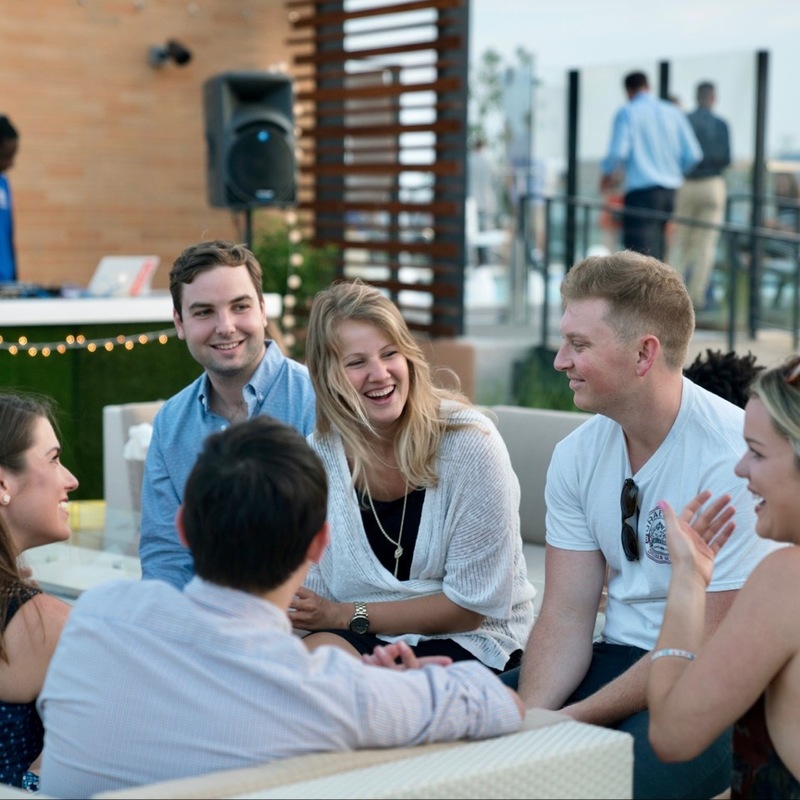 The rooftop at Insignia on M gives you access to several lounge areas where you can take in views of Nationals Park, the waterfront and Washington Monument. Plenty of seating and modern decor make this the coolest hangout spot in the Navy Yard. How will you use the Insignia on M rooftop as the weather cools down? Let us know! Contact us today for more information on life at Insignia on M or to schedule a tour.